The major focus of the company is to provide high quality products at fair and reasonable prices. We manufacture and travel the world to find the best factories that produce outstanding quality rugs to correspond with today’s fashion trends. We pride ourselves on fast, efficient and friendly customer service. The Exellan collections are the foundation of our product mix. Exellan is a yarn system that we developed to provide the best in detail, durability and fashion in the industry today. Exellan is an advanced heat set polypropylene fiber that has the look and feel of wool. It also has a pencil point finish to ensure outstanding detail in all designs. The rugs are easy to clean and will stand up to any kind of usage. Soft to the touch, these collections offer a variety of patterns and colors that may be used in a variety of settings. 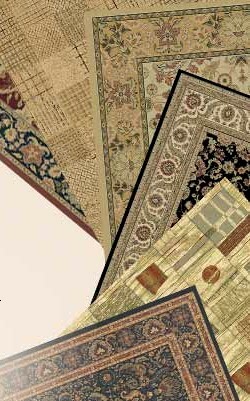 These collections are the benchmark in the industry of high end, machine made synthetic rugs.